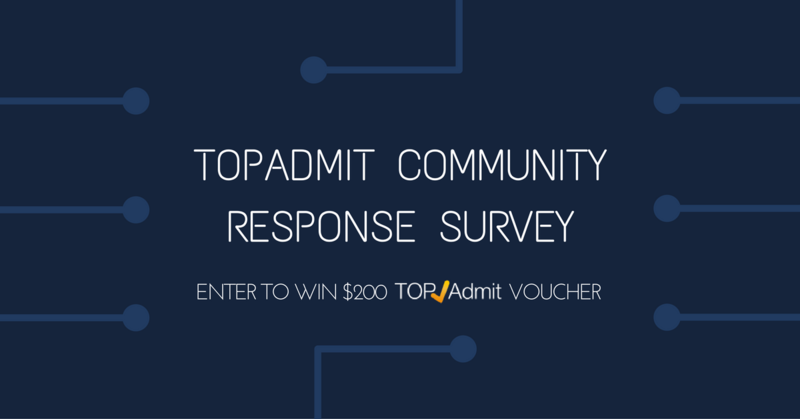 TopAdmit Community Response Survey – Enter to win! As a valued member of the TopAdmit community, we’d like to invite you to participate in our online Community Response session! We want to hear about your expectations so we can keep improving our services. It should not take more than 5 minutes of your time. Your contribution will not go unnoticed – every form entry qualifies to enter a lucky draw! You will have a chance to receive a voucher for TopAdmit services valued up to $200, so fill in the form now!